This week, we’ll discuss about beacons and payments to how businesses can use beacons to close the loop between message, consideration, footfall and purchase, this week’s roundup is packed with insights and actionable advice. So sit back, sip a cup of coffee and check out the stories we have lined up for you. Although it’s easy to make online purchases or order food via your phone, the way you pay for a meal when you’re inside a restaurant has relatively stayed the same. Check out this article to learn how Downtown app takes the idea of mobile payment and commerce a step further by using beacons to track a customer’s location. According to a recent research by Adobe, 18 percent of marketers are reported to be actively testing or deploying beacons, these numbers are expected to double in 2015. Although beacons are fast gaining momentum, a number of businesses are still struggling to handle challenges about purchasing the right kind of beacon, deploying them and integrating beacons with their mobile strategy. 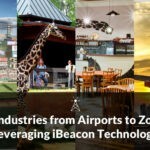 This infographic explains everything you need to know about beacons and also presents an overview of how major brands are using beacons. Most retailers bank heavily on the great promise offered by location-based mobile ad campaigns, in their efforts to drive festive footfall in-store. The world of tiny banners has been quite a tough ride for mobile all this while, especially when it comes to measuring incremental footfall. Check out this article to learn how stores are now running beacon pilots to close the loop between message, consideration, footfall and purchase. With the advent of beacons and messaging apps like Wut, notifications are fast becoming the new interface frontier. Notifications are already the way consumers know that they have a message or an email, without having to fire up an app. Driven by such experiences, consumers today want a centralized experience where apps merely sit in the background and keep pushing relevant content forward. Here are 4 reasons why notifications are the future of app design. Bluetooth Special Interest Group recently ratified a new version of the Bluetooth Low Energy standard that comes with with a new set of security features that prevents people from sniffing out your Bluetooth signal and using it to track your phone and devices as you move about. You can read more about the updates that come with this specification here.